1. Preface and Table of Contents. 3. The Theme of ONE and history of the church at Ephesus. 4. 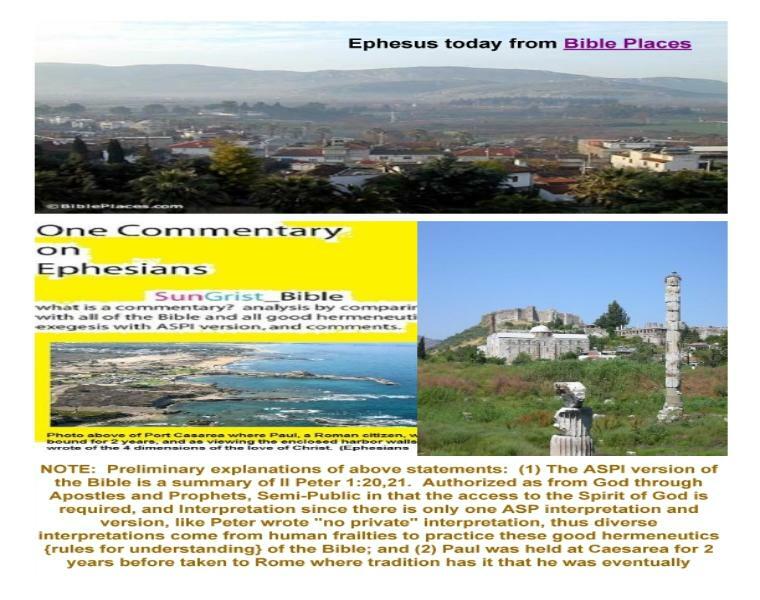 Ephesians is a short commentary. 5. A practical commentary on life and Ultimate Integration. 6. Ephesians Chapter 1, IN CHRIST. 7. Ephesians Chapter 2, BEFORE/AFTER. 8. Ephesians Chapter 3, WITH THIS IN MIND. 9. Ephesians Chapter 4, The Mystery of the Ideal Body. 10. Ephesians 4-6, GOD'S PSYCHOLOGY part 1. 11. Ephesians 4-6, GOD'S PSYCHOLOGY continued part 2. 12. Essence of Ephesians part 1. 13. Essence of Ephesians part 2. 14. A Final Check (Colossians).